“Wonderful… Bravo!” Robert Wilson, Pulitzer Prize winner for CIVIL warS. Ishmael Reed goes too far, again! Just as the fugitive slaves went to Canada and challenged the prevailing view that slaves were well off under their masters, Ishmael Reed has gone all the way to Quebec—where this book is published—to challenge the widespread opinion that racism is no longer a factor in American life. 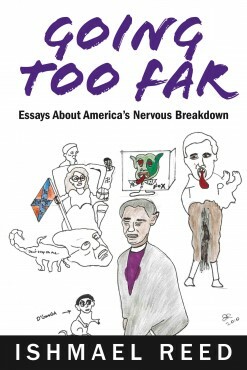 “Reed tackles the Tea Party’s shockingly racist antics, Obama’s accomplishments, feminism’s effect on the black male image, the Occupy Movement—to varying results. Reed is best when he historicizes, as in his essay “Ethnic Studies in the Age of the Tea Party,” and when he draws on the more rational, even-tempered voices of others, as in his interviews with Terry McMillan and Nuruddin Farah.” Publishers Weekly, November 05, 2012. 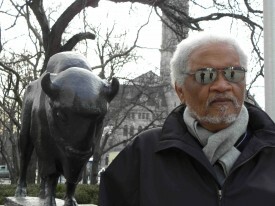 Ishmael Reed is an essayist, novelist, poet and playwright, and a prizewinner in all categories. He taught at the University of California (Berkeley) for thirty-five years, as well as at Harvard, Yale and Dartmouth. Reed is a member of Harvard’s Signet Society and Yale’s Calhoun Society. He lives in Oakland, California.